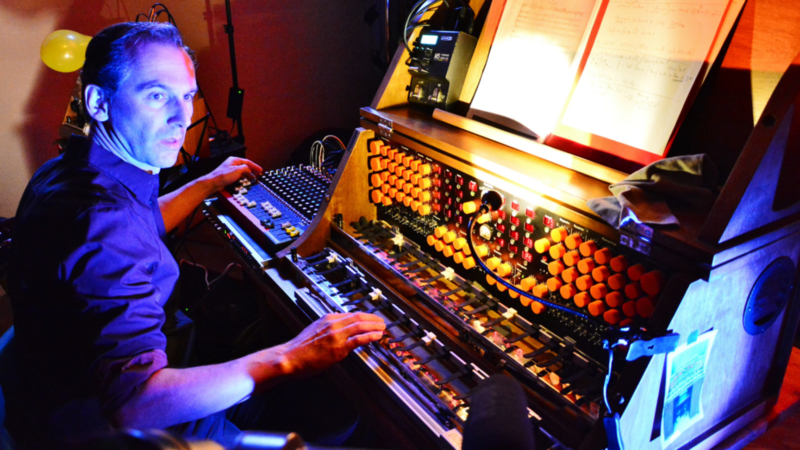 Tura and WAAPA @ ECU have joined forces to bring Trautonium player Peter Pichler to Perth from Munich for a series of workshops and events. For the first time in its 90-year history Peter will being the Trautonium through Australia in April 2019. The Trautonium, invented in Berlin, Germany, in 1929, is the great-grandfather of the synthesizer. The eerie sound it produces has featured in films, most notably used for the bird sounds in Hitchcock’s thriller The Birds (1963). As part of this residency, Peter will perform a live soundtrack to the documentary film ‘A Voyage to the Moon’ by Manfred Durniok which was originally scored by Trautonium pioneer Oskar Sala. ‘A Voyage to the Moon’ describes the journey to the moon from the start of the rocket over various experiments and difficulties in absence of gravity until the safe return to earth. The performance will also feature a concert of works for Mixture Trautonium in collaboration with music students from WAAPA. Rare performances of Hindermith’s Concerto for Trautonium and Orchester (1931) alongside Harald Genzmer’ Bass Solo in F (1938) will be performed in collaboration with string players from WAAPA’s String Camerata under the leadership of Paul Wright.